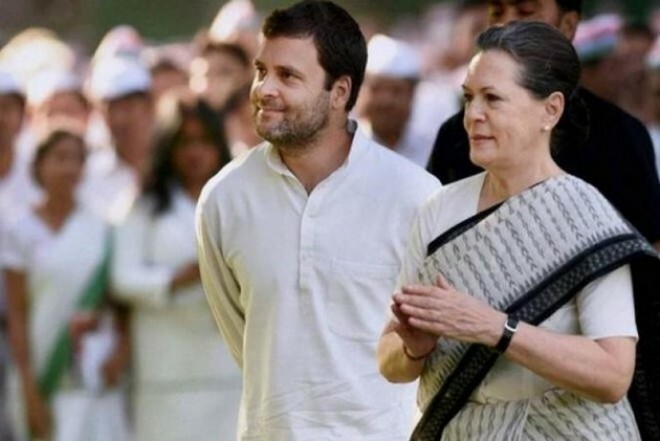 New Delhi, Apr 05: Congress president Rahul Gandhi will file his nomination from the Amethi Lok Sabha seat on April 10 and UPA chairperson Sonia Gandhi will do the same from the Rae Bareli parliamentary constituency on April 11, party sources said on Thursday. Newly-appointed Congress general secretary Priyanka Gandhi Vadra will be present with her brother and mother when they file their nomination papers. The family will be together on both days with Rahul Gandhi accompanying his mother in Rae Bareli and Sonia Gandhi present while he files his papers in Amethi, the sources said. They said the filing of nomination papers will be a big show of strength and the top Congress leadership will be present. A road show is also likely to be taken out after the filing of papers, the sources added. While both Sonia Gandhi and Rahul Gandhi are contesting from the constituencies they have represented for many years, the Congress chief has this time also decided to contest from Wayanad in Kerala. Rahul Gandhi filed his nomination papers on Thursday in Wayanad, where he was accompanied by his sister. Elections in Amethi and Rae Bareli will be held in the fifth phase of elections on May 6. The process of filing of nomination starts on April 10 and continues till April 18. The Congress has decided to go it alone in Uttar Pradesh after it was left out of the alliance between SP and BSP. They said they will not field any candidates for the two seats being contested by the top Congress leadership.